With more than seventy films to his acting credit and eighteen as a producer, Dr. Wesley Snipes has a unique diversity that has made him one of the most internationally beloved and sought-out talents of the past thirty years. In addition to his presence in Hollywood, he is also a digital tech entrepreneur, including his creation of the innovative Project Action Star television project, which was launched on the first social media global broadcast network. 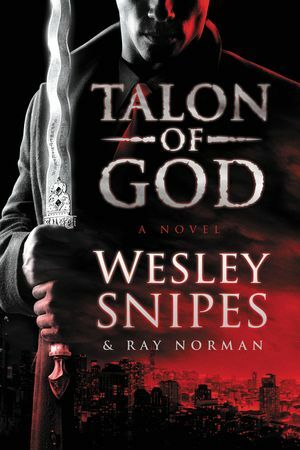 A master practitioner of numerous martial arts disciplines, Dr. Snipes has drawn on the physical expertise he honed choreographing fight scenes in movies like Blade, and his vivid imagination, to write the action-packed Talon of God, his first novel.